COBB Tuning announces the immediate availability of the AccessPORT for the 2010 Subaru STI. The AccessPORT is the first hand-held device available for the 2010 STI that performs an ECU reflash through the vehicle’s OBDII port. Just plug it in, load the maps and go! Faster! A firmware upgrade is available to update existing AP-SUB-003 AccessPORTS to function on the 2010 Subaru STI. Simply plug the AccessPORT into your computer, launch the AccessPORT Updater software to update the firmware. Off-The-Shelf maps are available for the 2010 Subaru STI in the Subaru AccessPORT Map Database. The AccessPORT provides owners of 2010 Subaru STI vehicles the ability to unlock power hidden within the factory ECU. Performance gains across the entire powerband can be quickly realized in the short time it takes to flash the vehicle’s ECU with the AccessPORT. No tools are required. No additional “piggy-back” hardware. No mailing the factory ECU across the country. No vehicle downtime. No waiting. Just plug the AccessPORT in, flash the ECU and enjoy the thrill of increased torque and horsepower! Flashing the ECU for increased performance is just the start of what the AccessPORT is capable of. Set the AccessPORT to Performance mode to capture 0-60MPH times, ¼ Mile times and Trap Speeds. Switch over to Live Data and choose a gauge to monitor, such as; coolant temperature, intake air temperature, throttle position, intake cam advance, exhaust cam retard, MAF voltage, injector pulse width and many more. Use the Troubleshooting mode to diagnose issues by reading the factory codes and resetting the system once the issues have been resolved. The AccessPORT can be used to eliminate separation anxiety for those times you are away from your car. Protect your investment when out on the town by quickly loading the Valet map to prevent the engine from revving above 3,200 rpm. Load the Anti-Theft map when you park to make it impossible to start. And in the event the car must be returned to the stock configuration, the AccessPORT can be completely removed and the ECU restored to is factory condition. The AccessPORT from COBB Tuning is the most comprehensive hand-held ECU flashing, monitoring and managing device available for the Subaru STI. Satisfy your hunger for more power. Access the Potential of your STI today! COBB Tuning announces the immediate availability of the AccessPORT for the 2009 Mitsubishi Lancer Ralliart. The AccessPORT is the ﬁrst hand-held device available for the Ralliart that performs an ECU reﬂash through the vehicle’s OBDII port. Just plug it in, load a map and go! Faster! The AccessPORT provides owners of 2009 Mitsubishi Lancer Ralliart vehicles the ability to unlock power hidden within the factory ECU. Performance gains across the entire powerband can be quickly realized in the short time it takes to ﬂash the vehicle’s ECU with the AccessPORT. No tools are required. No additional “piggy-back” hardware. No mailing the factory ECU across the country. No vehicle downtime. No waiting. Not even a computer is required. Just plug the AccessPORT in, ﬂash the ECU and enjoy the thrill of increased torque and horsepower! Flashing the ECU for increased performance is just the start of what the AccessPORT is capable of. Set the AccessPORT to Performance mode to capture 0-60MPH times, ¼ Mile times and Trap Speeds. Switch over to Live Data and choose a gauge to monitor, such as; coolant temperature, intake air temperature, throttle position, intake cam advance, exhaust cam retard, MAF voltage, injector pulse width and many more. Select the integrated Datalogger to record multiple channels of data simultaneously. Or configure a shift light that flashes the screen when a user defined rpm is reached. Go to Troubleshooting mode to diagnose issues by reading the factory codes and resetting the system once the issues have been resolved. The AccessPORT can be used to eliminate separation anxiety for those times you are away from your car. Protect your investment when out on the town by quickly loading the Valet map to prevent the engine from revving above 3,200 rpm. Load the Anti-Theft map when you park to make it impossible to start. And in the event the car must be returned to the stock conﬁguration, the AccessPORT can be completely removed and the ECU restored to its factory condition. 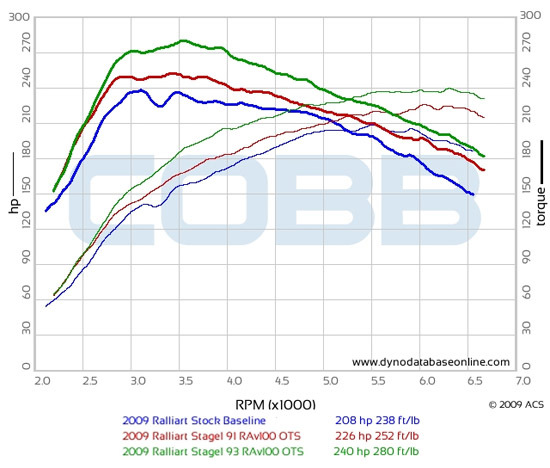 AcessTUNER Pro tuning software for the Ralliart is available to the COBB Pro Tuner network. AccessTUNER Pro allows professional engine tuners to custom tune any combination of modiﬁcations to achieve their maximum power potential. AccessTUNER Race tuning software for the Ralliart is available to racing teams and highly experienced self tuners. AccessTUNER Race allows individuals the ability to tweak their own maps ﬁles at their convenience as well as the ability share maps with others that have very similar power modiﬁcations. Datalogging allows multiple channels of data to be recorded and reviewed after a dynamometer test to see where tuning can be optimized. Disabling torque and airflow limit tables makes tuning the Ralliart even easier. These capabilities are particularly effective for heavily modiﬁed Ralliart’s that are beyond the scope of the COBB Tuning provided base calibrations. 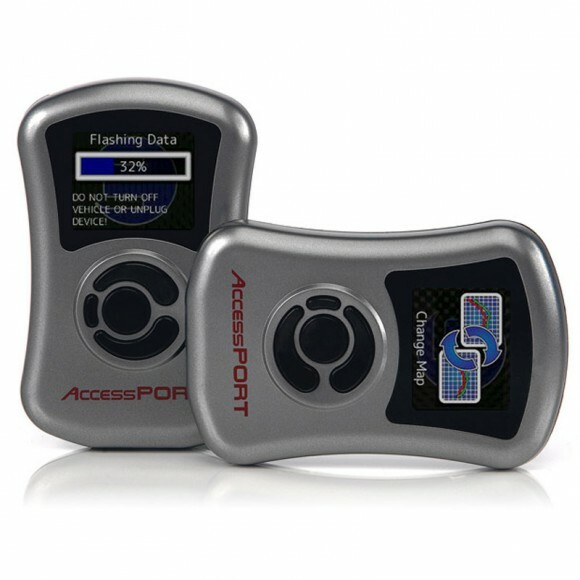 The AccessPORT from COBB Tuning is the most comprehensive hand-held ECU ﬂashing, monitoring and managing device available for the 2009 Mitsubishi Lancer Ralliart. Combined with AccessTUNER Pro and AccessTUNER Race software, it provides an unbeatable suite of engine tuning applications backed by our professional engine tuner network. Satisfy your hunger for more power. Access the Potential of your Ralliart today!